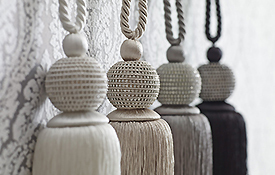 Browse our extensive range of curtains poles to give your room the finishing touch. 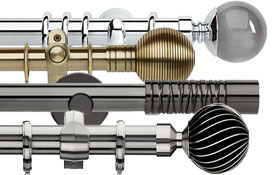 We stock everything from Metal curtain poles, Wood curtain poles, Eyelet poles, Bay curtain poles, Double poles, Extendable poles, Curtain tracks, Roman blind kits, Tiebacks and Trimmings. We have everything to suit all budgets and tastes, including "Painted for you" ranges. Follow this link to our Brands page. 10% off all fabrics onsite. 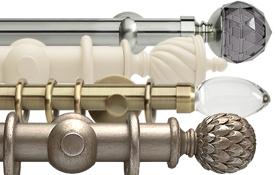 Origins, curtain poles with a different edge. 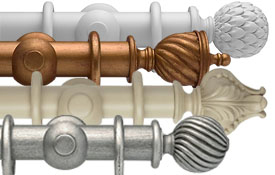 Byron & Byron Rustica 35mm, 45mm and 55mm Curtain Poles.